The two lenses can be swapped at the touch of a button, making photo taking of any occasion effortless. Add fun distortion effects, stamps and frames, or use the auto-portrait feature to take photos automatically. You can also film movies, adding animations along the way. Record your voice and add funny effects to it! 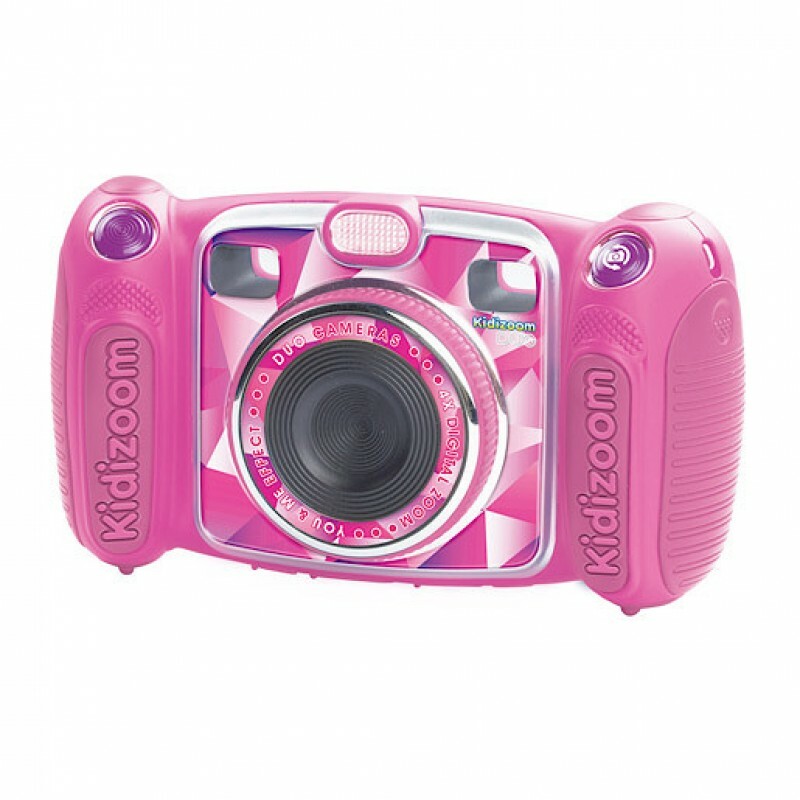 Other great features include 4x digital zoom, You and Me photo effects and wacky photo shaker. Bored of taking pics? Then have a go at the five great games and mix it up a bit! Also, the Kidizoom Duo has a large 6cm full colour screen for a crystal clear view of the action. Don't let a moment pass with the Kidizoom Duo! 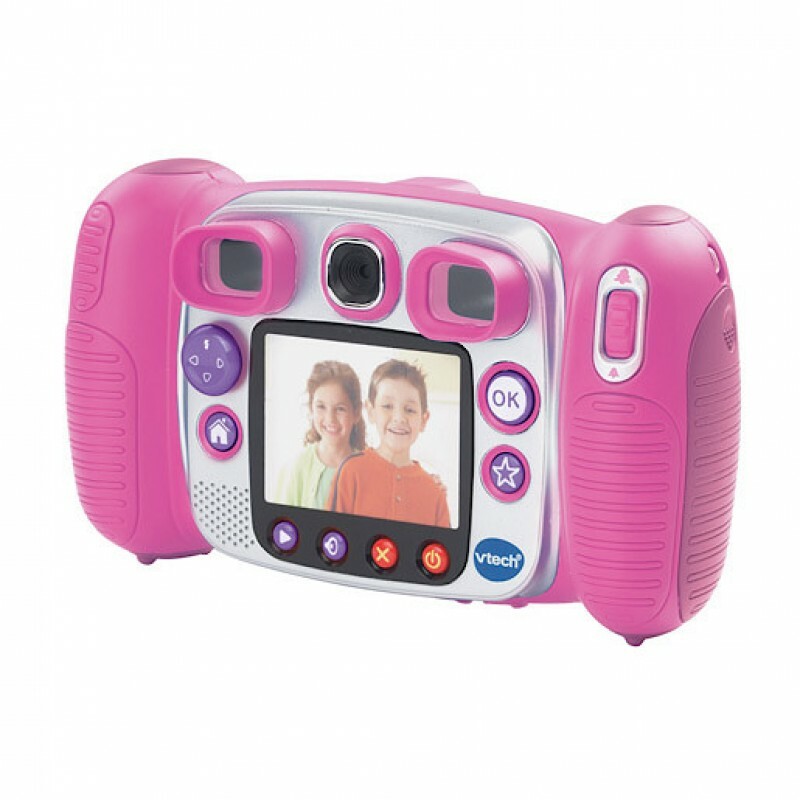 This VTech kid's camera's ideal for ages three and up. Please note: 4 x AA batteries are included.